COLUMBUS, Ohio, Sep 14, 2018 (SEND2PRESS NEWSWIRE) — SafeChain, the industry leader in wire fraud prevention software for land title, announced today that it was named 2018 Seed Stage Company of the Year by VentureOhio. SafeChain was recognized for developing SafeWire, an innovative platform that implements a combination of identity verification and bank-grade authentication technology to verify ownership of accounts involved in a wire transaction, secure wire transfers and prevent wire fraud. In addition, SafeChain recently concluded the first blockchain backed real estate transaction in partnership with government. 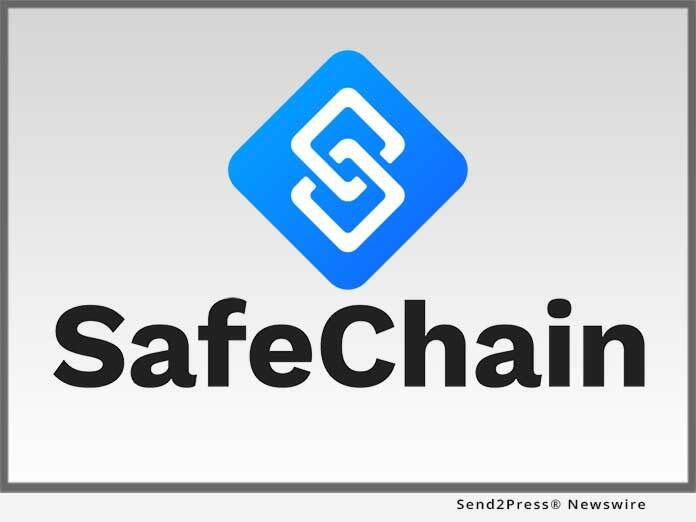 SafeChain continues to work the Auditor’s Office in Franklin County, Ohio to move the jurisdiction’s property records to a new platform fully backed by blockchain technology. As a finalist among a highly competitive group of seed-stage company applicants, SafeChain was selected as the winner in its category by a panel of 22 expert judges and honored at the fifth annual Venture Dinner. “The awards event brought together over 700 investors, entrepreneurs, community leaders, and elected officials to review the success of the Ohio entrepreneurial ecosystem and encourage statewide collaboration,” said Falon Donohue, CEO of VentureOhio. To view the winners of all of the VentureOhio Awards categories, visit https://ventureohio.org. VentureOhio is an Ohio non-profit which aims to improve access to capital and foster collaboration in the startup community. For more information visit https://ventureohio.org. Leveraging the most advanced technologies, including blockchain, SafeChain increases the speed and security of closings to deliver faster transactions and better consumer confidence. For more information visit http://www.safechain.io.